Let's continue where we left off from How to Set Company Tax Filing Info. In this part, we'll focus on the next steps as they pertain to generating 1099-K forms. See the requirements for a 1099-K.
For this part, you’ll need to report to the IRS whether payment cards were actually swiped or not present for the transactions. 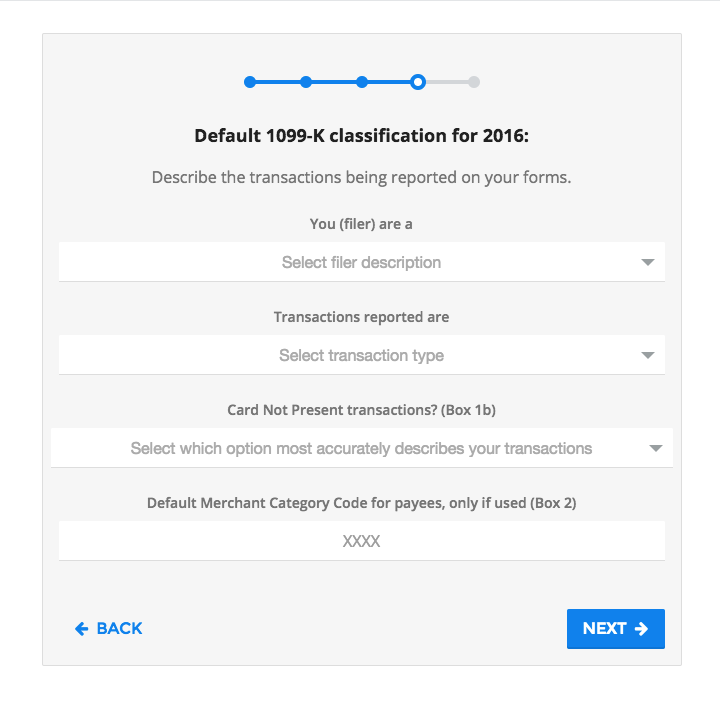 This is a 4-digit code used within the payment card industry to classify the payee for the payment card transactions reported on the 1099-K. CitiBank provides a good rundown of Merchant Category Codes that pertain to different industries. The MCC should correspond most closely with the payee's type of business. 34 states currently participate in combined federal and state 1099 filing. This is the step where you select which state your company and contractors operate in to file forms with the state tax agency at the same time as filing with the IRS. Check out our Guide to Combined Federal and State 1099 Filing to learn more. Recipient’s address: the states from your recipients’ addresses will be added to Box 6 on your 1099-K forms for filing. 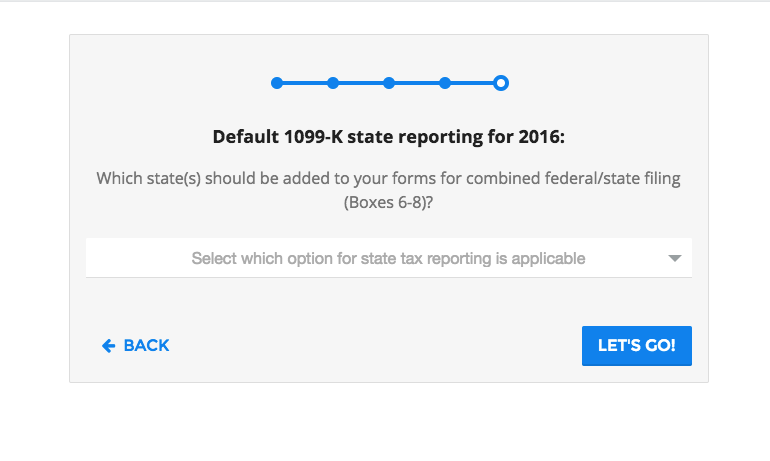 No default state is set: No states will be added on your 1099-K forms, by default. Additionally, every state has different rules and regulations for whether or not 1099 payments need to be reported to them or not. In the majority of states, 1099 filing requirements depend on the recipient's address of residence, and/or where the work was actually performed, etc. Check out our Guide to State 1099 Filing Requirements to learn more. Process complete! The forms will be then generated.